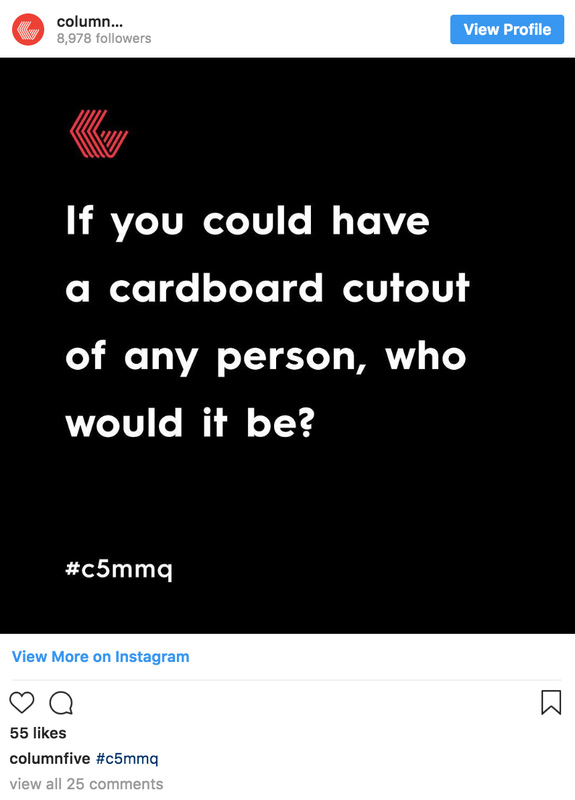 For instance, ColumnFive likes to feature different people on their Instagram, giving them a chance to share their interests and introducing them to the world. 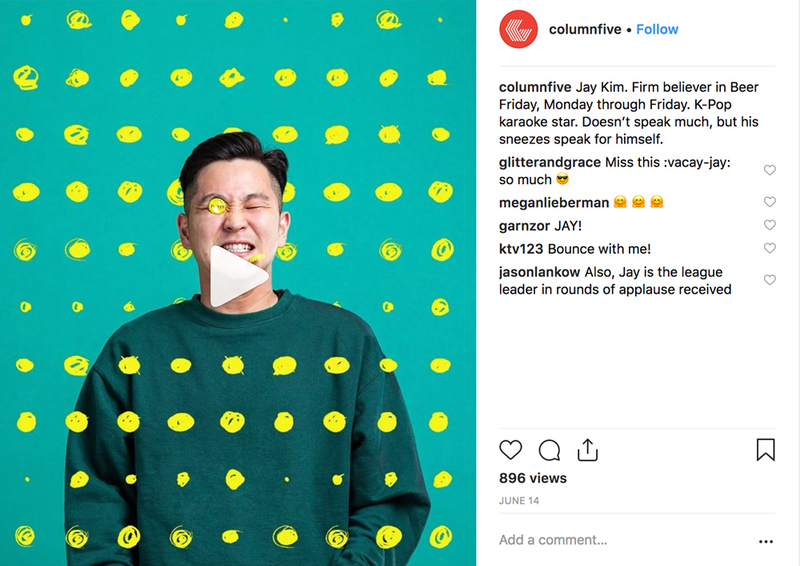 ColumnFive has written about the toughest lessons we’ve learned about building a content strategy, had their team share the best content marketing lessons they’ve learned, and featured award-winning designs on their Instagram. For example, Column Five has written about what happens at their company Hack Days, and they like to share their morning meeting questions on Instagram.